TOKYO (Jiji Press) — Typhoon No. 21 hit Shizuoka Prefecture in the small hours of Monday and moved across the eastern Kanto region including Tokyo, after killing four people and leaving a man unconscious in the west. 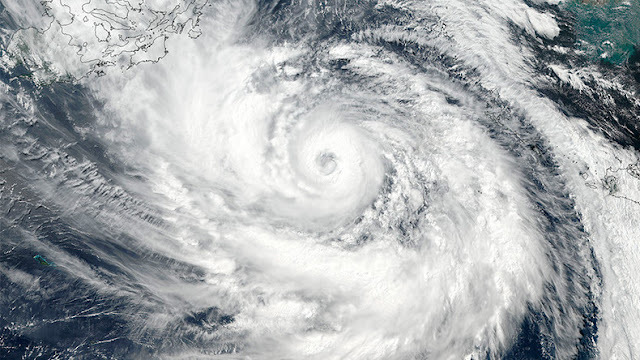 The typhoon had departed the coast of Iwaki, Fukushima Prefecture, by around 9 a.m., the Japan Meteorological Agency said. In the Tokyo metropolitan area, the typhoon forced East Japan Railway Co., or JR East, to cancel some train services on the Tokaido, Chuo, Sobu and other lines during commuting hours. A male passerby died after scaffolding collapsed at a construction site in the city of Fukuoka on Sunday. In Osaka Prefecture on Monday, a woman who had been stuck in a flood-hit car was found dead and a man was confirmed dead after being crushed under a barn shutter blown away by strong wind. In Mie Prefecture the same day, a man was found apparently drowned in a car in a flooded area. In Wakayama Prefecture, a man hit by a landslide was rescued in an unconscious state. According to the Fire and Disaster Management Agency, the typhoon left 17 people injured nationwide.